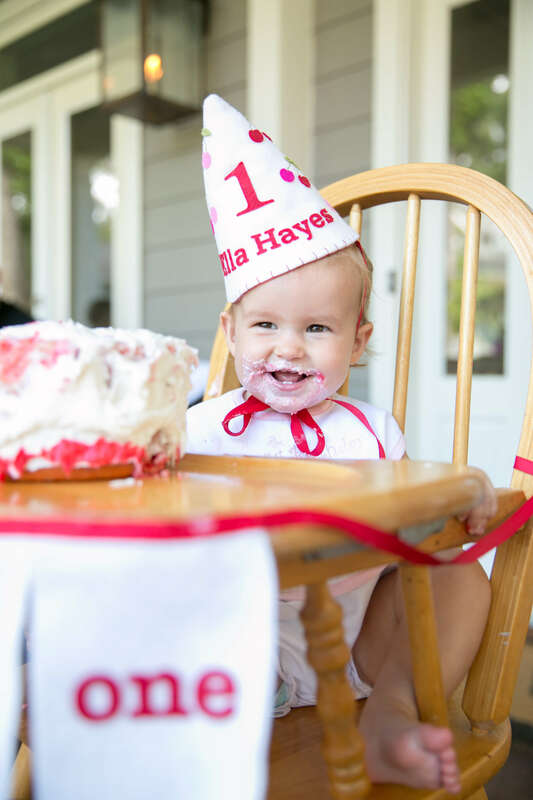 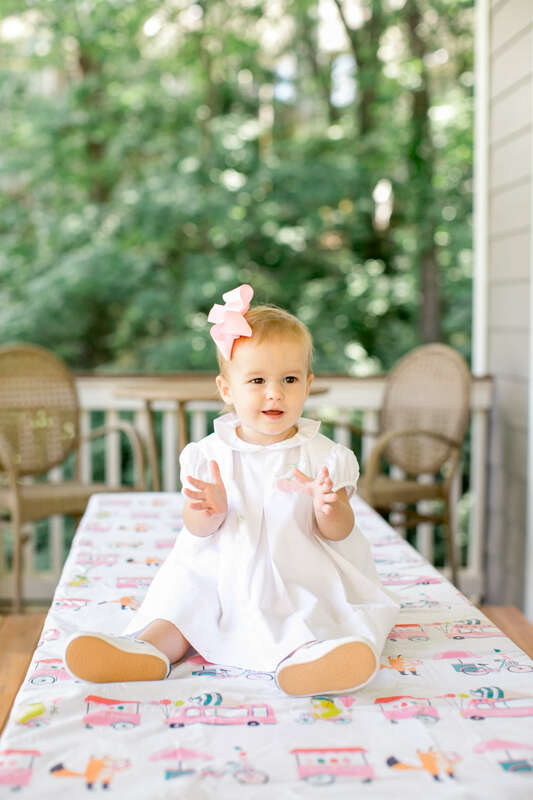 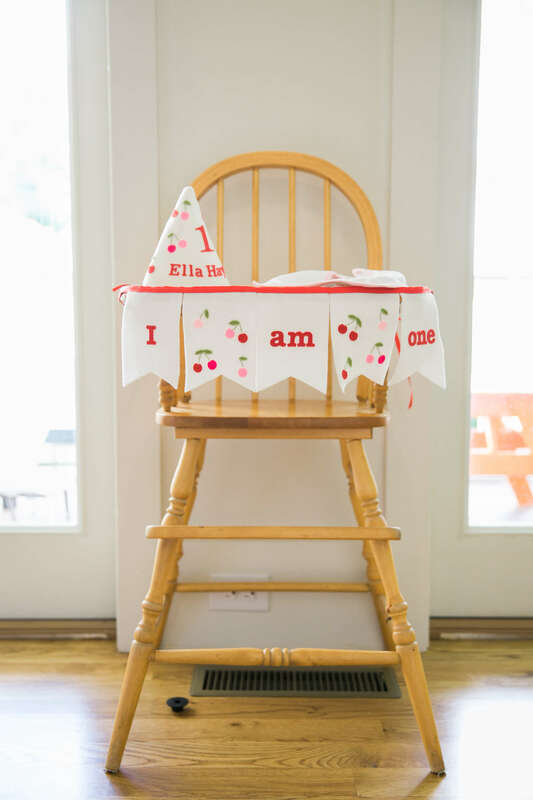 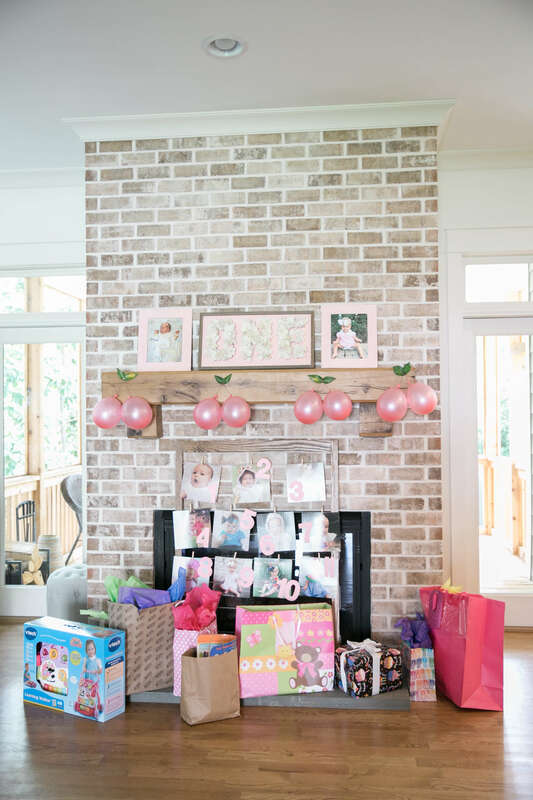 Sweet Ella Hayes is the youngest and only daughter, so this family thought a Cherry on Top birthday was perfect for her first birthday! 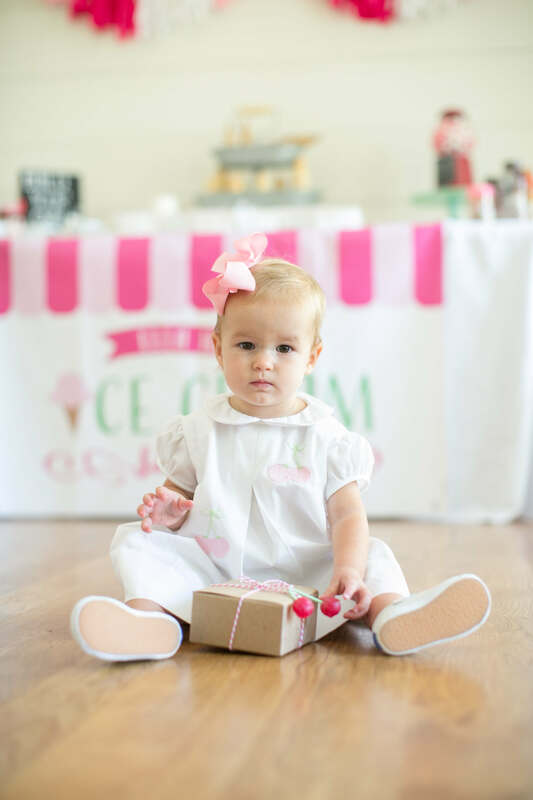 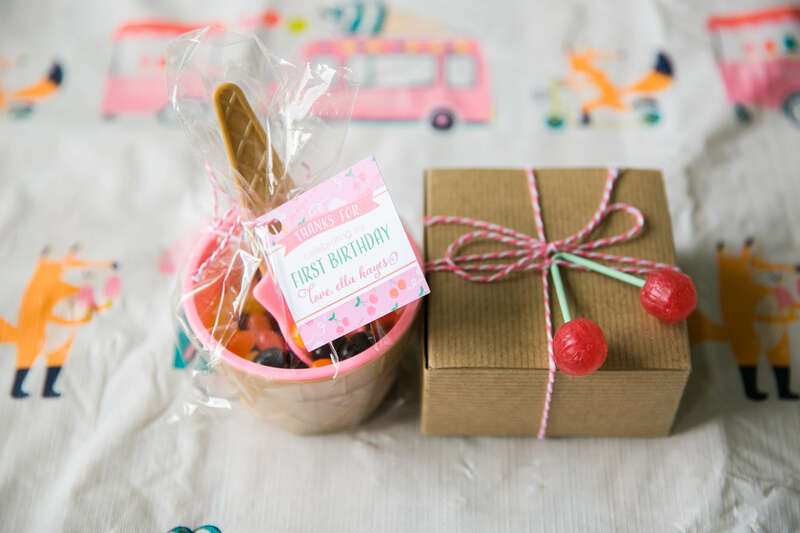 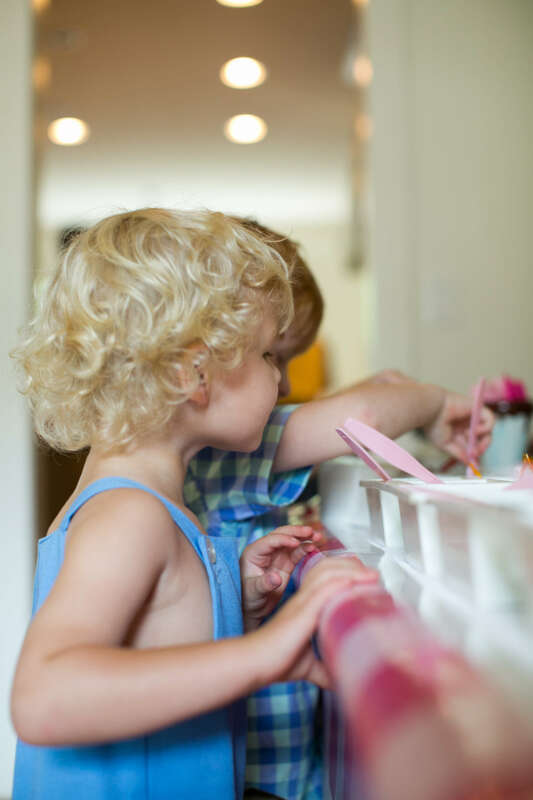 This party turned out so adorable filled with pink, red, and ice cream! 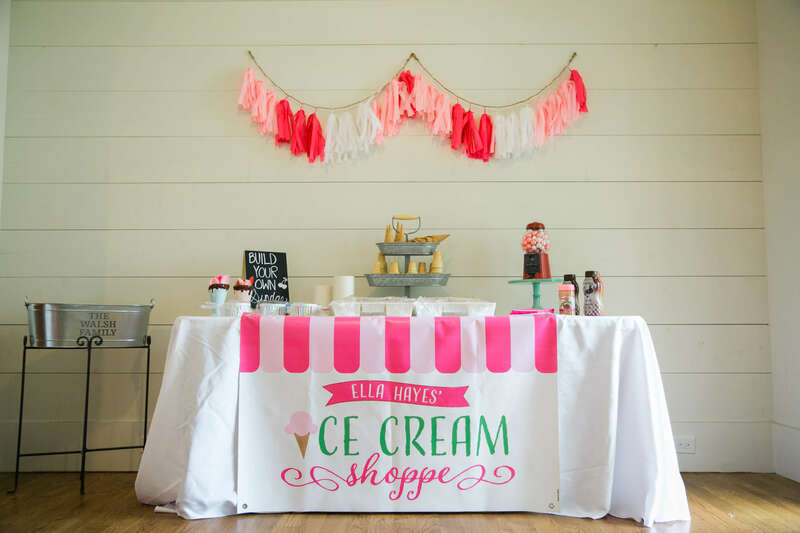 We thought an ice cream social was the perfect way to tie in this Cherry on Top theme with a fun filled cherry bursting event! 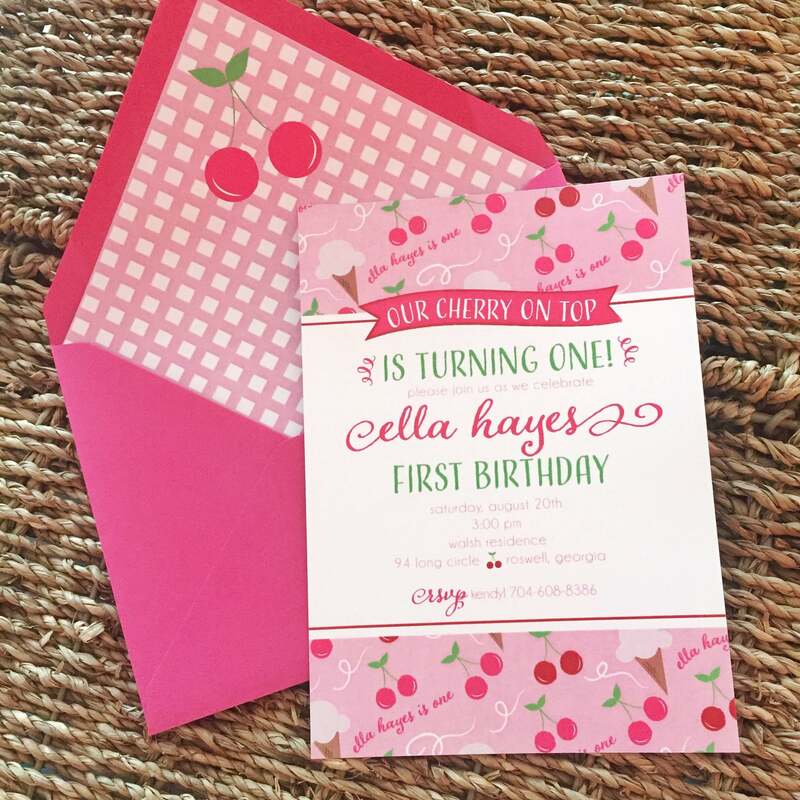 For her custom cherry on top birthday invitations, we went with a fun custom pattern of cherries, ice cream cones, and a fun hot pink background! 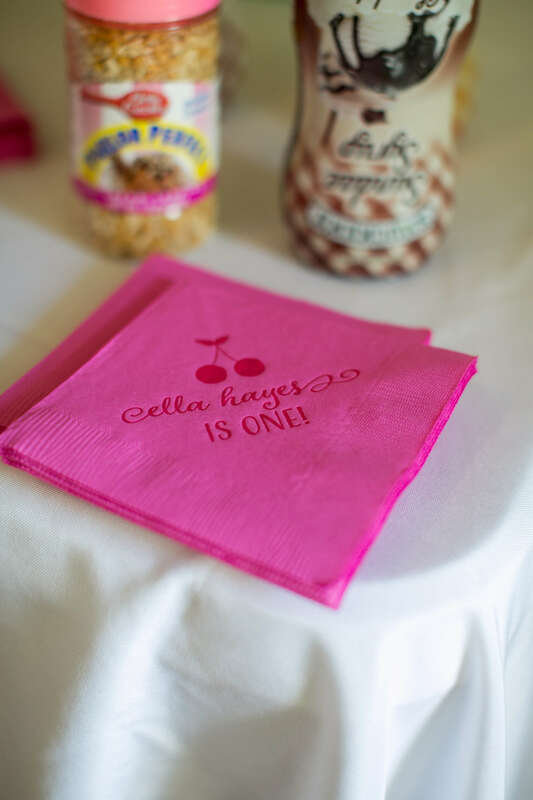 The gingham on the envelope liner was a southern touch to this soiree! 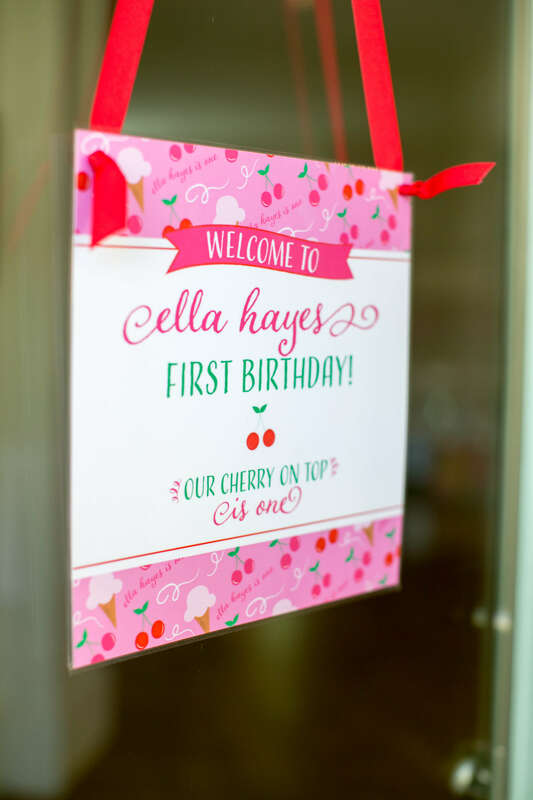 We absolutely loved how cheery (and cherry!) 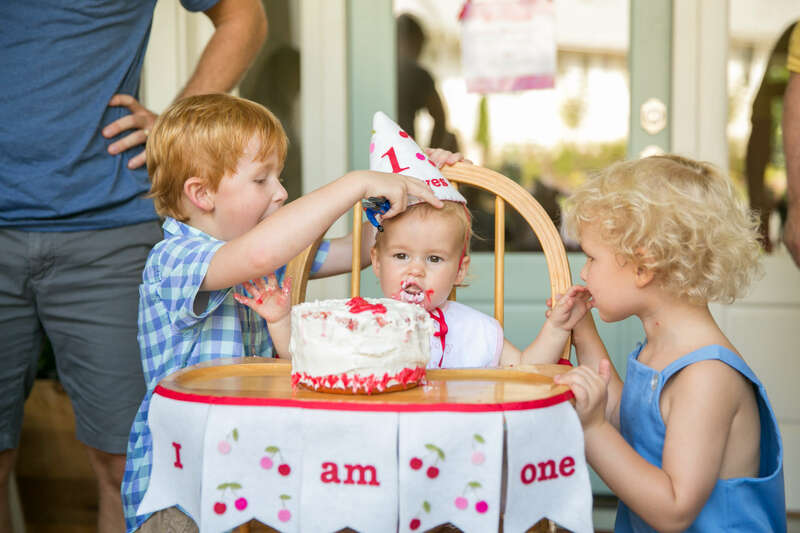 this cherry on top first birthday turned out!